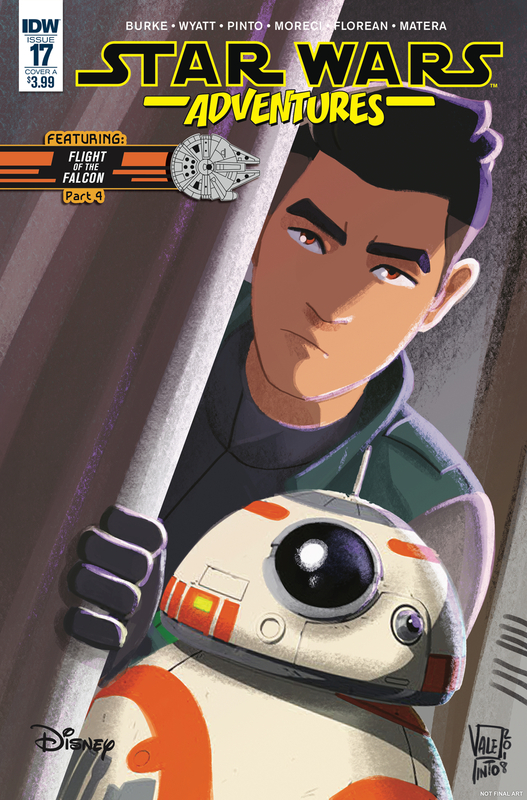 Ties into the new Star Wars Resistance animated show coming this fall to the Disney Channel! Written by Resistance show writers Chris “Doc” Wyatt and Kevin Burke! 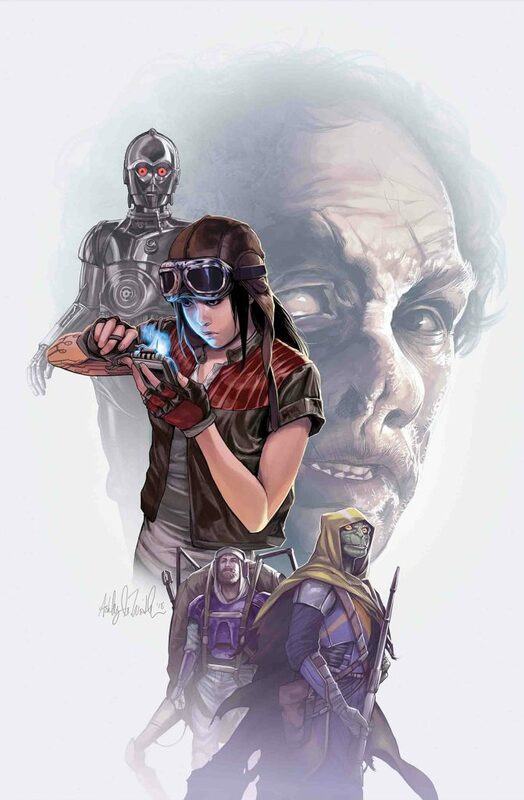 • With a huge price on their heads, rogue archaeologist DOCTOR APHRA and her murder-droid companion TRIPLE-ZERO are hunted wherever they run. 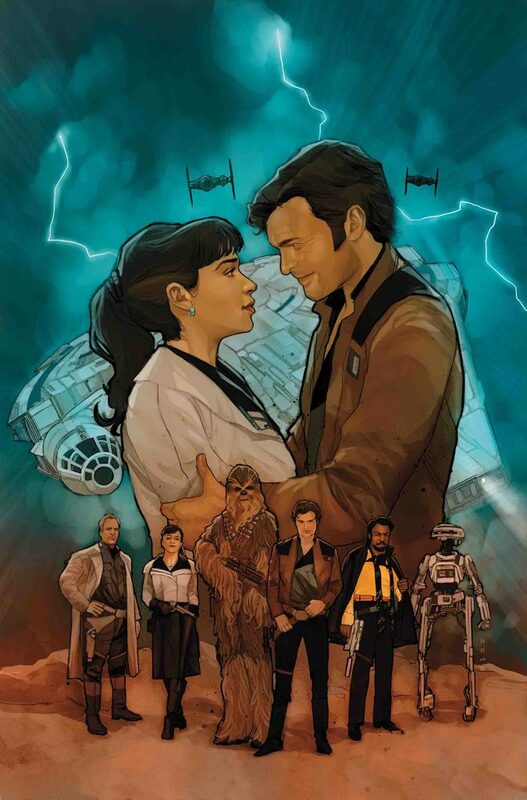 • Of all their pursuers, you might think the deadliest danger comes from the EMPIRE-backed cops…or the deranged undead bounty hunter…or the relentless monster trappers – right? 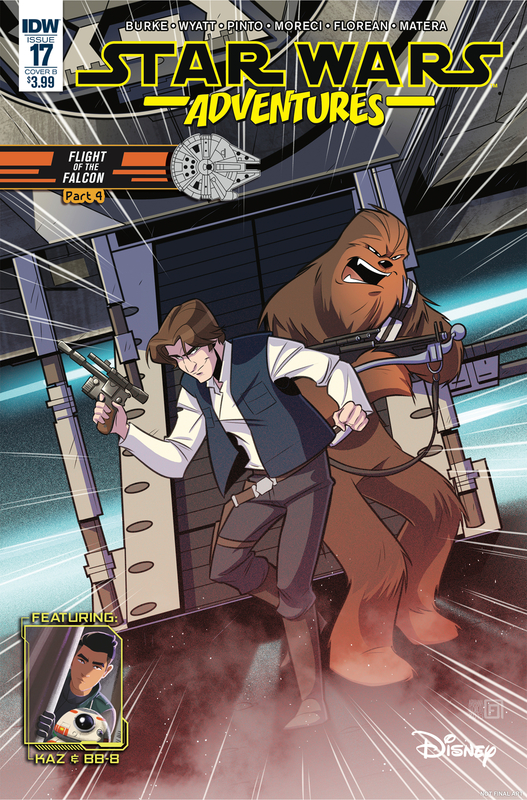 • …teaming up with LANDO and L3 to pull off the impossible KESSEL RUN heist!